TME’s offer has been enriched with 2 and 4 channel digital oscilloscopes with the band from 50MHz to 200MHz, offering the possibility of automatic measurement of 23 parameters. Each oscilloscope offers the possibility of recording wavelengths on the external hard disc and using digital filter in order to remove unnecessary frequencies from the screen. Furthermore, there is an opportunity to disable menu, which increases the surface of edited waveform by 25%. 1000A series 2 and 4-channel oscilloscopes are characterized with sampling time of 2Gsps and memory record length of 20kpts. 1000B series 2-channel oscilloscopes are characterized with the sampling time of 1Gsps and memory record length of 16kpts. Additionally, oscilloscopes offer the mask function (possibility of overriding model waveform with the actual waveform). All oscilloscopes are additionally equipped with passive probes 10:1 (2 or 4 – depending on the model), supply cord and manual on a CD. Free software can be downloaded from the manufacturer’s Website. 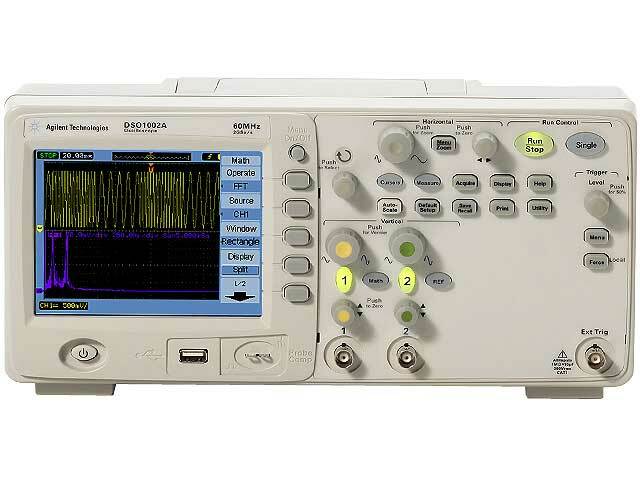 This week, we offer an exceptional opportunity to purchase Agilent oscilloscopes with an 8% discount. Promotion is valid from January 21, 2012 through January 27.01.2013.